Would you believe that it’s been 7 years since Samsung introduced the original Galaxy Note, which lead to the term “phablet” exploding in popularity? That’s a long time considering we’re dealing with the smartphone industry, where one unsuccessful release can spell complete disaster. Crazy enough, Samsung faced just that a couple of years ago with the Note 7. Fast forward to the present day, that debacle seems like a small speck in time, seeing that the company has redeemed itself with its last few major offerings. 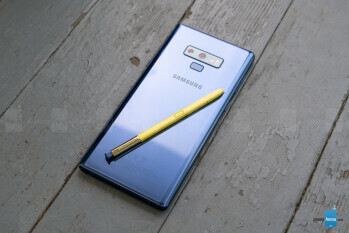 The Samsung Galaxy Note 9 is the first major smartphone to be announced and released for the impending holiday season. Having that honor does naturally present many challenges, such as setting the bar to a higher level that would put the pressure on rival devices. Then again, the Note series has always been the kind that does exactly that, and with this year’s offering, it’s no doubt following the same trend. However, the landscape is constantly changing! 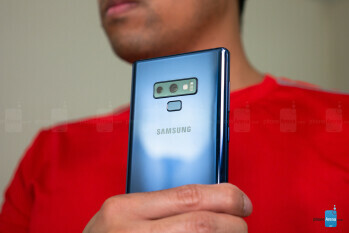 And with smartphone prices continually increasing, the stage light is heavily focused on the Note 9’s value. 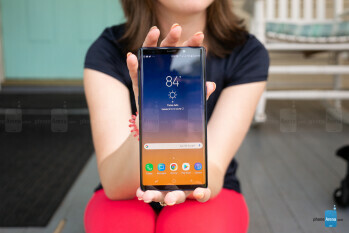 Upgrades are always expected with any successive device, but it’s going to take a lot more than just newer hardware to make the Note 9 stand out from the pack this year! It’s not often that Samsung recycles a design almost completely, but that’s the case with the Note 9, seeing that the design language and aesthetics are essentially unchanged from its predecessor. But don’t get us wrong. The _phone_ is still incredibly well put-together, featuring the premium and trendy glass-meets-metal design with sloped, curved edges. Our particular model sports the new Ocean Blue paint job with the yellow S Pen, which gives it a good contrast. Even though the glass finish is prone to accumulating smudges and debris, it’s nice that it can be cleaned off relatively easy. Technically, the Galaxy Note 9 comes very close in size to its predecessor, but it’s slightly wider and thicker. The placement of its buttons and ports is identical to what we had on the Note 8. 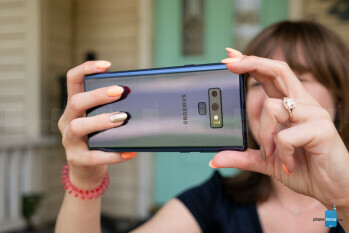 Thankfully, though, Samsung finally listened to the feedback and moved the fingerprint sensor to a more accessible position below the camera – rather than next to it, which was a common complaint of ours with Samsung’s last few flagships. What’s remarkable about the Galaxy Note 9's design is the level of meticulous engineering put into it – and others should take note. In an era where high-end smartphones skip the headphone jack to make room for other components and have notches to accommodate their front cameras, the Note 9 doesn’t make any sort of compromise. It features a headphone jack, a heart rate sensor, an iris scanner, dual speakers, a slot for the S Pen, and even wireless charging! That’s a whole lot of stuff thrown into its design, to which we may add also that it has an IP68 water-resistant construction. This wouldn’t be a Note without the S Pen, but for this year’s iteration, Samsung clearly places a ton of emphasis on the accessory. Aesthetically, it’s no different from last year’s S Pen – it feels like we’re wielding an actual pen. Interestingly, Samsung has added some new functions that enhance it even more. 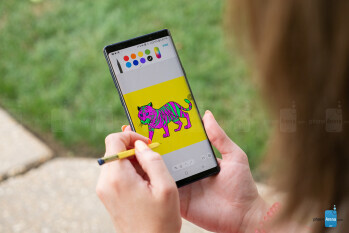 For starters, the S Pen now features Bluetooth LE, which allows it to be used as an extension for the Note 9. 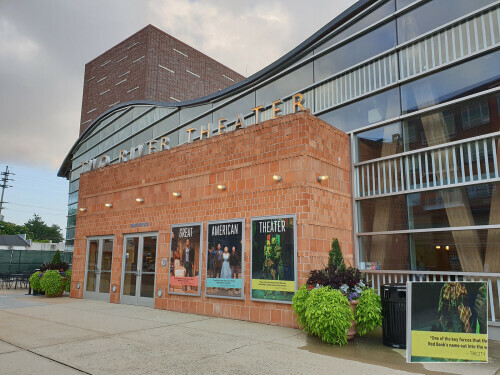 Therefore, it can now be used to remotely snap photos, navigate through a slideshow presentation, and it even gives us access to some media playback functions. They’re all useful and whatnot, if you’re the kind of user that heavily resorts to using them. Other users may feel that they’re all novel, but they do serve their purpose in giving users more convenience. For us, however, our sentiments about them fall under the novelty area. Instead, we’re more eager to see what developers will be able to do when the SDK becomes available, which could very well introduce us to some other clever features. However, the S Pen continues to be a practical tool in mimicking that paper and pen experience – as well as being super convenient when it comes to digitally signing documents! What other _phone_ makes it as easy as this? 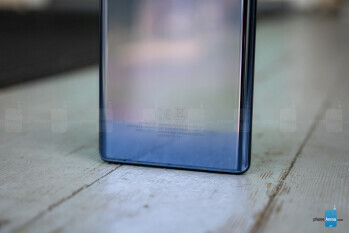 Let’s get it out of the way: the Note 9’s display exhibits the same qualities as its predecessor! That’s not to say that we should be disappointed by the 6.4-inch Quad HD+ (1440 x 2960) Super AMOLED display, which technically is just a smidgen larger than what’s found with the Note 8. From its right-on-the-spot ~6400K color temperature to its color accuracy in the sRGB color gamut chart, the characteristics are nearly identical to those of the Note 8! In other words, they're top notch! It’s worth pointing out that we found an improvement with its peak brightness output of 575 nits when it’s in the Adaptive display mode. Beyond that, it exhibits the same qualities! It’s still dazzling to the eyes, thanks to its incredible detail, rich colors, wide viewing angles, and that deep black color AMOLED panels are known for producing. Even more remarkable is how videos get the makeover treatment when the “video enhancer” mode is turned on, as well as watching HDR content on YouTube. The dual-curved display has been a staple characteristic of Samsung’s flagships, but there’s nothing terrible, new or different here. On one hand, they do add to the phone’s beautiful and uniform aesthetics. And on the other, there’s really no change when using the edge panels, which have been relegated to just another shortcut system of sorts for the phone. We’re not really going to spend a whole lot of time explaining the experience here, since there’s not a huge overhaul found with it. It is running on top of Android 8.1 Oreo, which presumably will get treated to an update for Android 9.0 in the future. Whatever you want to call it nowadays, Samsung Experience here on the Note 9 doesn’t differ much from what we’ve seen in the S9/S9+ already. Sure, the interface aims for a minimalistic look, but in true Samsung fashion, there’s an assortment of features that cater to power and productivity users. In all honesty, it does more than most Android smartphones – so that alone adds more layers to its arsenal. The S Pen by itself separates this experience from most other Android smartphones out there. We can’t tell you how many times it becomes a lifesaver when having to sign a PDF document or something, seeing that other phones require you to go through loops in order to do that. Going beyond the advantages of the S Pen, there are a wealth of other features that makes the Note 9’s package so diverse. For one, there’s the enhanced Bixby service at our disposal – offering even more functionality and intelligent actions from initiations with voice commands. Secondly, there’s no more need for a DeX station or pad to access the phone’s desktop-like experience. All that’s necessary now is a simple USB Type-C to HDMI adapter and voila, you’ll be able to instantly reap all the rewards of the experience. That’s fantastic news, just because there’s no more additional cost beyond purchasing an adapter to unlock this feature – you just connect the Note 9 to a TV or monitor and get right into it! And lastly, Samsung has made a few tweaks to its AR Emojis, but frankly, it’s still something that’s novel. It may be neat or cool for the first few times, as it seems as though it’s slightly more responsive, but the intrigue is short lived. 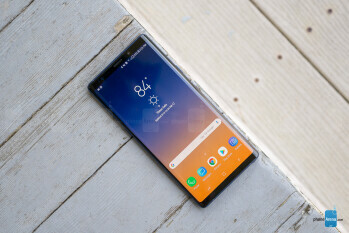 As you can probably tell, the experience here with the Note 9 doesn’t introduce anything particularly new that its direct predecessor and recent siblings have brought to the table. You could argue it’s no different from the Note 8, but we can’t stress the fact that the experience is ripe with features and functions for the power user. No other phone offers the same level of utility when it comes to getting stuff done, and with the help of the S Pen, the experience solidifies itself as being one of the most functional out there! Predictably so, the Note 9 is leveraging the latest and greatest hardware. The US variant will be utilizing the Qualcomm Snapdragon 845, while the global version will be siding with Samsung’s own silicon in the Exynos 9810. Our unit features the latter, paired with a generous 6GB of RAM. Whether it’s running some productivity apps, to multi-tasking between a couple of them, the Note 9 certainly exhibits the typical buttery response with any flagship-caliber device. Over on the gaming side, the Note 9 is undoubtedly equipped in handling graphics processing without any stress. Benchmark tests indicate just that, as well as our own real-world experience playing some graphically intensive games. 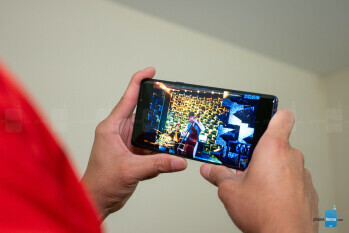 Frame rates are smooth and retained, which Samsung would probably attest is attributed to the new water carbon cooling system that the phone introduces. However, in our experience playing 3D titles, the Note 9 feels noticeably toasty when it’s being used for long periods of time. 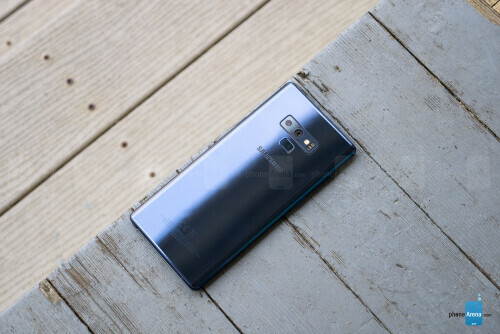 Boasting 128GB of internal storage, the Note 9’s capacity is indeed comforting for several reasons – more so when most high-end devices still start out at 64GB. It’s double the starting capacity over the Note 8, which by itself is a notable offering. 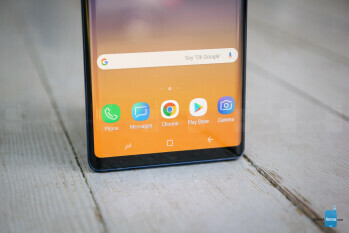 For those wishing to pay more, Samsung offers the Note 9 with a whopping 512GB of storage, accompanied with 8GB of RAM! Either way, there’s plenty of storage here, especially when there’s a microSD slot for expansion. It’s common for phones to borrow cameras from their predecessors and then proceed to make refinements. 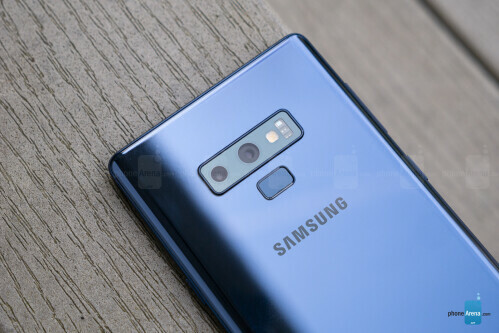 That’s exactly what we’re given here with the Note 9, which not only adopts the dual-camera configuration introduced by the Note 8, but also the variable aperture lens leveraged by the S9/S9+ earlier this year. The end result is actually very similar to the S9+, breaking down to a main, wide-angle 12-megapixel shooter with OIS and a variable aperture – set to f/2.4 for sharper photos when you have good light, but opened wide to f/1.5 at night to capture every snippet of light. Meanwhile, the secondary camera is a telephoto one, with 2x zoom, and it has optical image stabilization as well, which is even more helpful here as the more you zoom in, the easier it is for shaky hands to spoil a photo. The shooting experience is no different either if you’re accustomed to using the S9+. Photogs will be especially delighted by the vast shooting modes that are available, consisting of panorama, hyperlapse, slow motion, live focus, and a pro mode with manual controls! The only new thing introduced by the Note 9 is the phone’s 'Scene Optimized' mode, which recognizes some 20 different scenes and tweaks them for better-looking results. 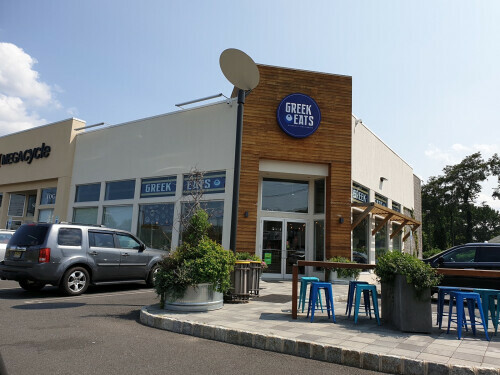 It detects scenes correctly for the most part, but depending on your preference, you may or may not like the end result – such as the case with foodie shots, which have extra-saturated colors. Luckily, there’s an option to disable the scene optimizer. 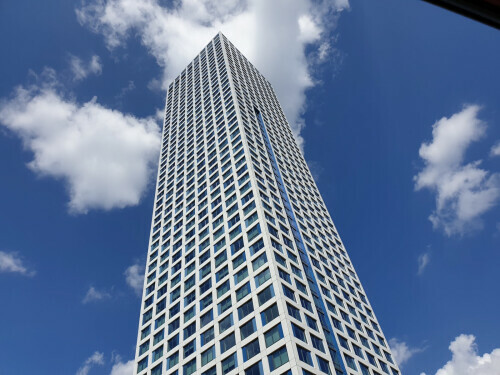 Stunning – that word pretty much sums up the camera performance out of the Note 9. Whether you’re a serial sharer on social media or an enthusiast that craves every morsel detail, there’s no denying that the Note 9 covers the range with its impressive performance. It’s noticeable on bright sunny days, as the camera captures stunning-looking images rich in detail, dynamic range, and a little bit of sharpness to give its photos a bit of pop! Even without relying on its live focus mode, the natural level of bokeh produced by the camera is impressive. Under situations when lighting isn’t ideal, the Note 9's variable aperture kicks in – resulting in some good-looking snapshots. We will admit that the camera is a good performer even when there’s a strong contrast in the scene, retaining details in the shadows, while also toning down the highlights enough to a level that gives the entire shot a neutral exposure. In situations where light is really low, the aperture continues to dial in at f/1.5, but the camera sets longer shutter speeds to let even more light in. Many phones would struggle in such cases due to the potential of blurring, but it’s not too much of a worry with the Note 9 with the stabilization helping out. Sure, details may be softer, but the shots under low light are still usable. Paying attention to the front-facing camera, an 8MP sensor that’s similar to the one in the Note 8 and S9/S9+, it’s well equipped for selfies. Details are good, complemented by a wide angle that’s more than adequate to not only get your face in the shot, but also most of your torso when it’s held at arm’s length. Yes, there is a selfie focus mode as well for that ‘pro’ look, but we find that it’s a little bit aggressive – often softening our face in the process, instead of just the background. It’s good, but not as good as on the Pixel 2/2 XL. 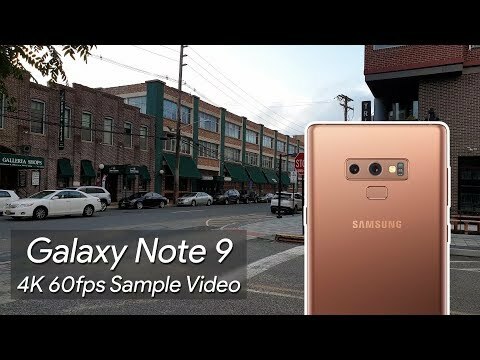 A strong performer with still shots, the Note 9 is equally capable when it comes to recording video as well. Enthusiasts will relish the fact that recording tops out at UHD 3840 x 2160 resolution at 60 FPS. And seriously, it’s incredible how sharp and detailed videos look! Due to the faster frame rate, we don’t recommend shooting video at UHD 60 FPS during low-lit situations – mainly because details become significantly softer, noisier, and muddy looking. You’ll want to dial back and choose 30 FPS instead, which performs better in such cases – the scene is better exposed and details become slightly more apparent. While there’s an option to control certain parameters of the shot under ‘pro’ mode, not all of them are adjustable once the recording begins – like the ISO, which remains fixed. 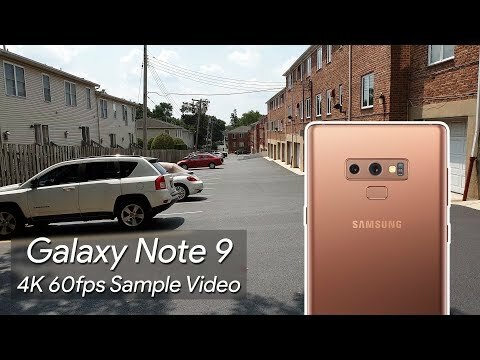 If there’s one area we’d love Samsung to improve upon, especially with the Note series, it would be offering a true manual mode for video to rival LG’s V-series' offerings. 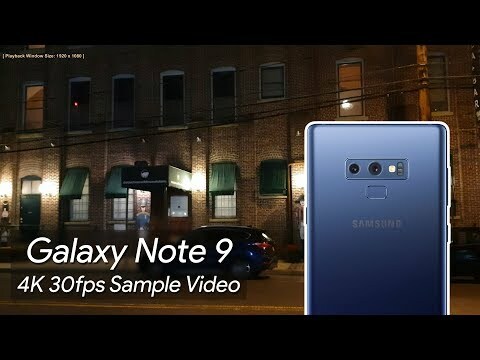 Just like the S9/S9+ before it, the Note 9 features a useful super slow-mo mode that captures short burst videos at 960 FPS in 720p. This can no doubt produce some neato-looking footage, but details are obviously softened due to the lower resolution and high ISO needed to achieve the framerate. In contrast, the standard slow-motion mode shoots video at 240 FPS, but in 1080p instead. There’s more elbow room at this frame rate because there’s no time restriction, not to mention that shots don't have to be timed perfectly to get the dramatic effect. Thanks to its dual speaker implementation, one that outputs audio through the ear piece and speaker next to the USB Type-C port, we’re presented with a stereo experience. The quality is good, which at 74.6 dB is just as loud as its predecessor with the Note 8. There are louder, more powerful speaker systems out there, but at least the audio quality is pleasant without any evidence of distortion or shrill tones at the loudest volume setting. 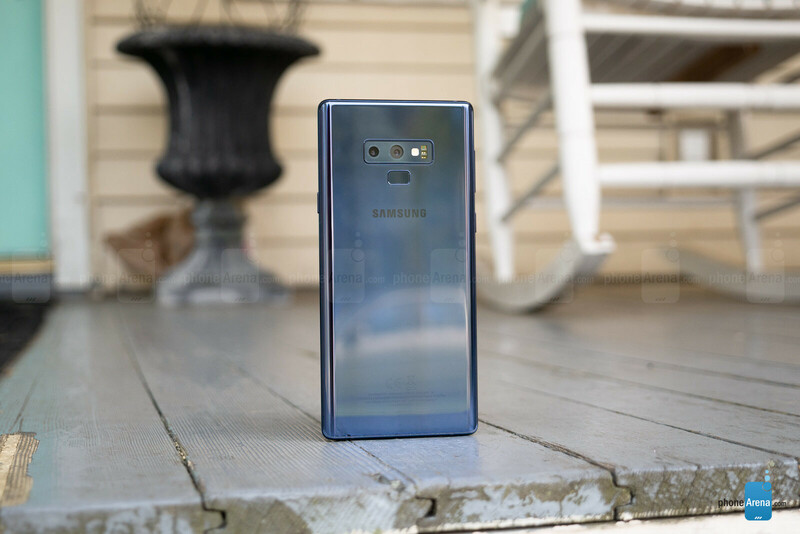 When most smartphones are forgoing the headphone jack, it’s truly remarkable that Samsung continues to be one of the few consistent manufacturers that opt to keep it in its devices – including here with the Note 9. It really makes us wonder what the real reasons are for other manufacturers to not offer it anymore. Considering that the Note 9 is still a pretty svelte smartphone and packs a ton of goodies, it makes it seem as though the competition is just making excuses at this point. The last piece we want to touch up on is the video-watching experience. 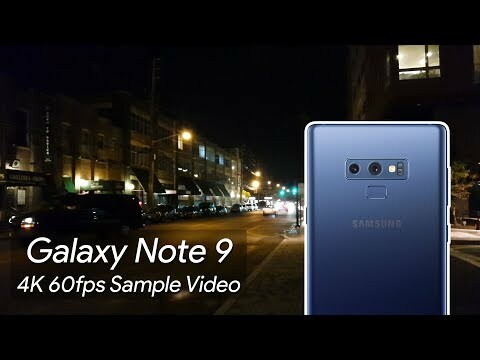 Certainly, it’s a visual masterpiece rich with sensory overload, thanks in part to how the Note 9's Super AMOLED panel is just so detailed and rich in color. Solidifying the experience, its support for HDR playback in YouTube is yet another reason why it’s great for multimedia consumption. Aided by its ‘video enhancer’ feature, videos certainly receive a degree of pop in terms of contrast and color saturation. Accepting phone calls and conducting conversations are no problems for the Note 9. phone conversations are pleasant, as the earpiece exhibits natural toned voices and ample volume to discern voices in noisy conditions. There’s also an extra volume mode as well that cranks the volume up even more in the event you need it. However, we find the standard volume more than sufficient for our needs. On the other end of the line, our callers don’t have any issues listening to us. While there’s just a hint of distortion, it’s not enough to negatively affect the overall experience. Using the speakerphone is also a delight here with the Note 9, seeing that voices are relatively discernable and its volume output is strong. 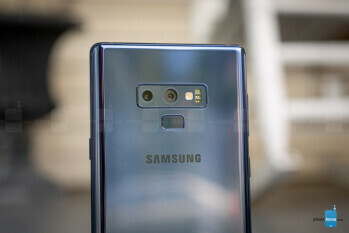 Samsung ensures that the Note 9 is going to be the longest-lasting in the series, thanks in part to the higher-capacity 4000 mAh battery they managed to fit into its body – versus the 3300 mAh capacity in the Note 8. Although it’s almost tough to notice, the Note 9’s thickness has increased ever so slightly to accommodate this new battery, but something we’d gladly accept knowing its performance. In our battery benchmark test, the Note 9 no doubt sets the bar high! Specifically, it achieved a mark of 8 hours and 56 minutes from a full charge, which is not only a full hour longer than the Note 8, but also a result better than the S9+'s! Using the phone on a day-to-day basis, it’s equipped to easily get us through a solid one day of heavy usage – with us usually finding it at the 35% level right before bed. The longevity is appreciated, but it doesn’t end there with the Note 9. For a phone boasting a higher-capacity battery than the Note 8 and S9+, it doesn’t take too long either for it to charge fully. Requiring 109 minutes to go get back to full capacity, that’s very close to the charging times of its esteemed siblings – albeit, it does offer a better charging rate time when you factor in the battery’s higher capacity. Moreover, there’s also the convenience of fast wireless charging as an alternative. On the surface, there are several reasons why the Note 9 is a fantastic smartphone. From the sharp photos captured by its camera to its long-lasting battery life, it’s a smartphone that few others can compete against. However, this is the most expensive phone in the series to date with its starting price of $999.99. That’s no chump change there, which like with many other phones in this price range, can be a bit of a stretch for some people. 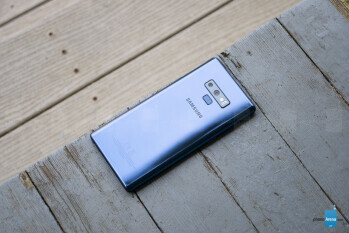 Then again, the Note 9 packs a convincing performance to back its premium cost! While the Note 9 improves upon its predecessor in many areas, this isn’t the revolutionary device some might have hoped for. Instead, it’s a predictable successive device – in the way that nearly every aspect has been improved or upgraded to make it a meaningful successor. Don’t get us wrong – we appreciate the enhanced S Pen features, the top-notch low-light camera performance, and the engineering marvel that this phone is, but if you’re a Note 8 owner, there’s very little incentive on spending the extra money upgrading. In fact, the core stuff is still there with the Note 8. Now, don’t let that dissuade you if you're looking for a great-performing smartphone to replace your aging one. 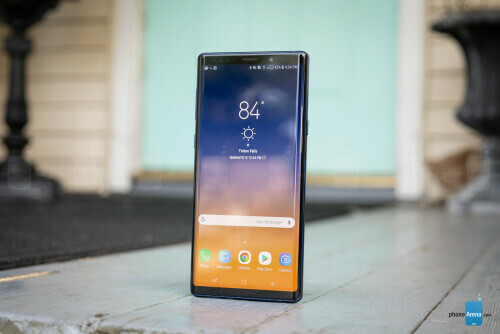 The Note 9 certainly has the convincing package to earn our recommendation, but it’s more evolutionary than revolutionary. Many of those qualities are indicative in how it borrows from its sibling and subsequently improves upon them. 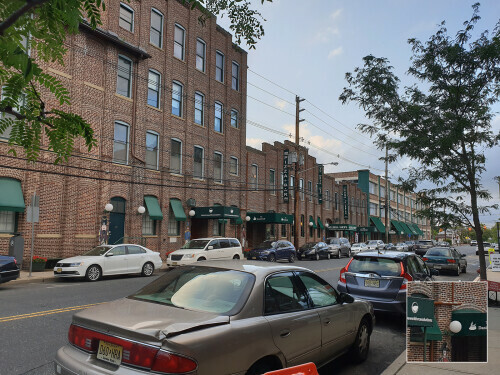 The dual-camera implementation with variable aperture is just one example of this. 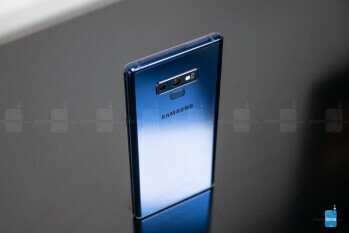 Yet, the Note 9 is in a league of its own – partly because of the unprecedented features in tow and how very few others can match it. Quite frankly, when other manufacturers make excuses why they can’t do this or that, the Note 9 shows us how all is possible! Who said we can’t have a phenomenal-performing smartphone with a headphone jack, a nearly bezel-less display without a notch, a dual-camera with variable aperture, a water-resistant premium design, and the ability to transform into a desktop PC of sorts? The Samsung Galaxy Note 9 shatters those expectations and makes the impossible possible.